Let's round up the WIPs, shall we? If you follow my page on Facebook, you'll definitely see the different things I am up to here and there. However, nothing is quite so pleasing (and yet so alarming) as piling them all on top of each other! 1.) 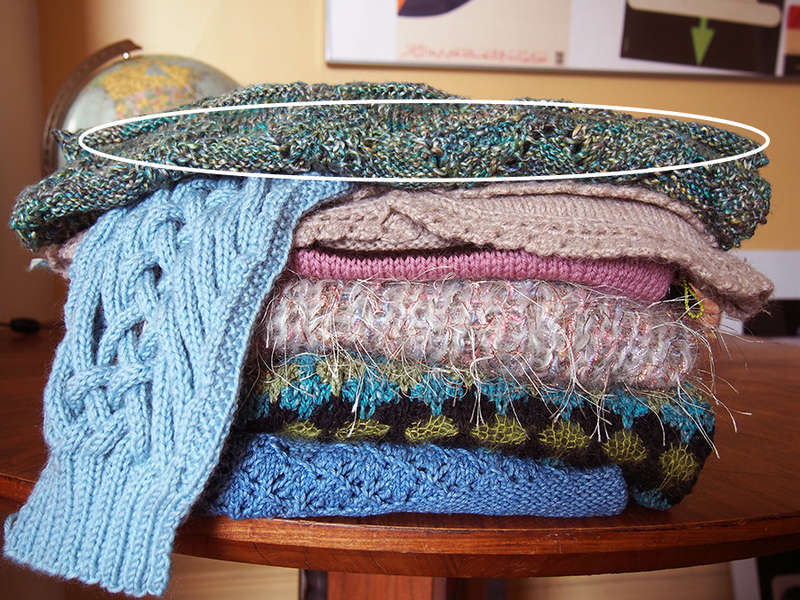 The bottom two are not actually WIPs, as they are finished and are truthfully in their own To Be Blogged sub-pile. The very bottom one is my adventure using the new Rowan denim replacement: Original Denim. 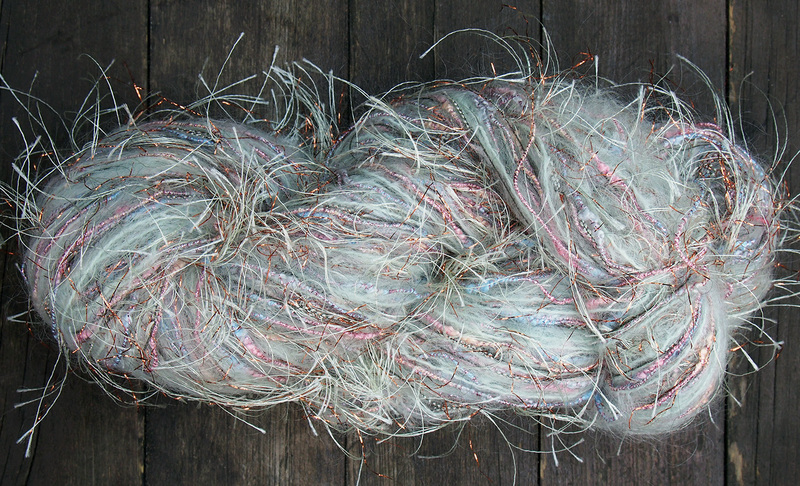 If you know anything about denim yarns, they are meant to act like old-school denim, shrinking and fading with washing. This is imminently scary to any knitter, I'm sure, so I'll be taking you through how to choose a pattern that isn't written for Denim yarn and how to adapt it. 2.) The second finished one in blue, green and black is probably my last piece from Rowan 55 for the year, Alma by Carlo Volpi. 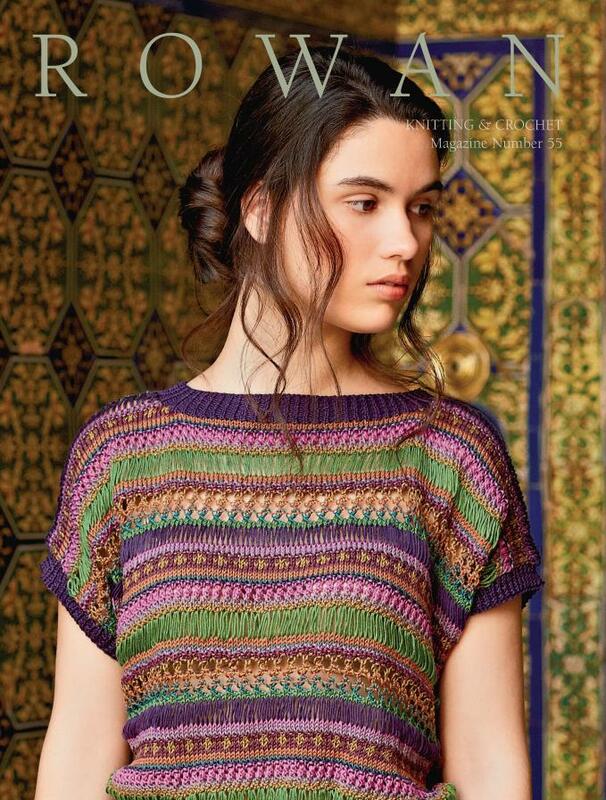 I have always scoffed at the Spring/Summer editions of any knitting magazines, but I really adored this issue. Can you guess how many designs I made? It's totally a record for me (in clockwise order): Prudence, Wharf, Madonna, Sally, and now Alma. FIVE! 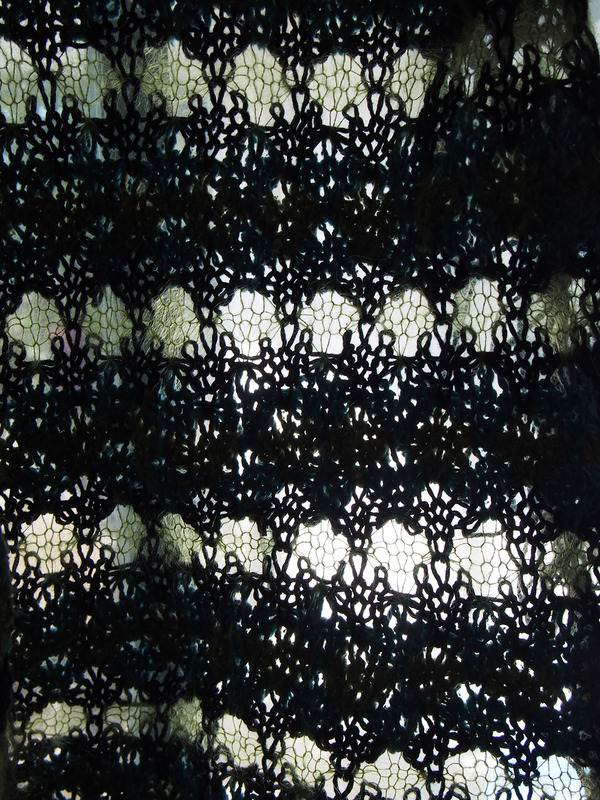 You can see my progress on Alma on Ravelry, but here is a cool spooky window curtain view to show off the alternation of thick Rowan Summer Tweed with Kidsilk Haze. 3.) Okay, okay, you must have noticed that really hairy one. 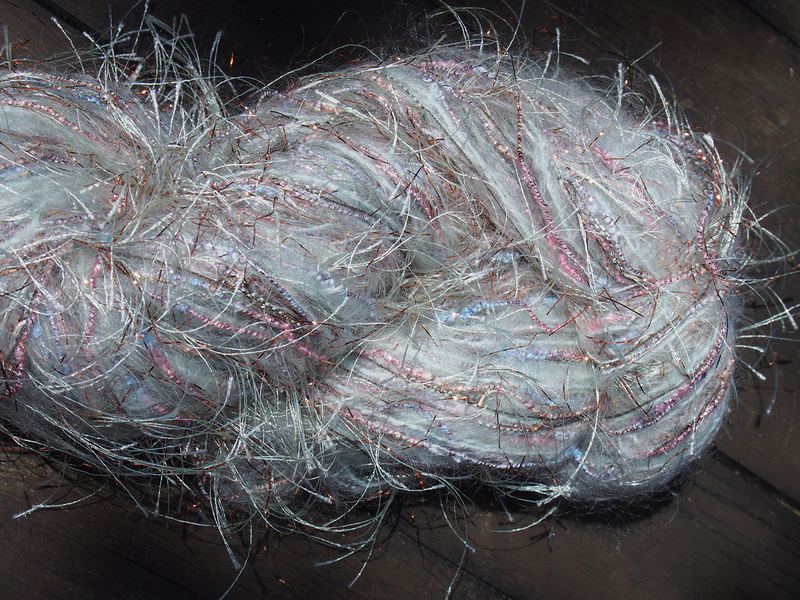 The cross between 80's bling mohair and eyelash yarn? Well, if you didn't, it's because you were frightened and your brain shut off. I have 6 skeins of the most outrageous (both in form and price) novelty yarn: Ironstone Showstopper. Yes, it stops shows... but in awe or disgust? 4.) The little pink strip you see in the pile is SUPER SECRET! Okay, it's not really a major secret, but I won't show you more, hee hee. All I can say is that I'm making something from Alexis Winslow's new book Graphic Knits that comes out in October, using Rowan Pure Wool Worsted. I was lucky enough to receive an advance copy and will be participating in a blog ring of patterns from the book, so stay tuned! Check out all the patterns from the book on Ravelry! Can you guess which one I am doing? 5.) I'm excited about the beige lacy one simply because it has been a 6-year To Do chore, and I am FINALLY DOING IT. Do you have knits that you love but just don't wear because there is something really wrong with them? As in, something you can fix, but you cast-on something new every time instead?! Well, this is on top of the pile. 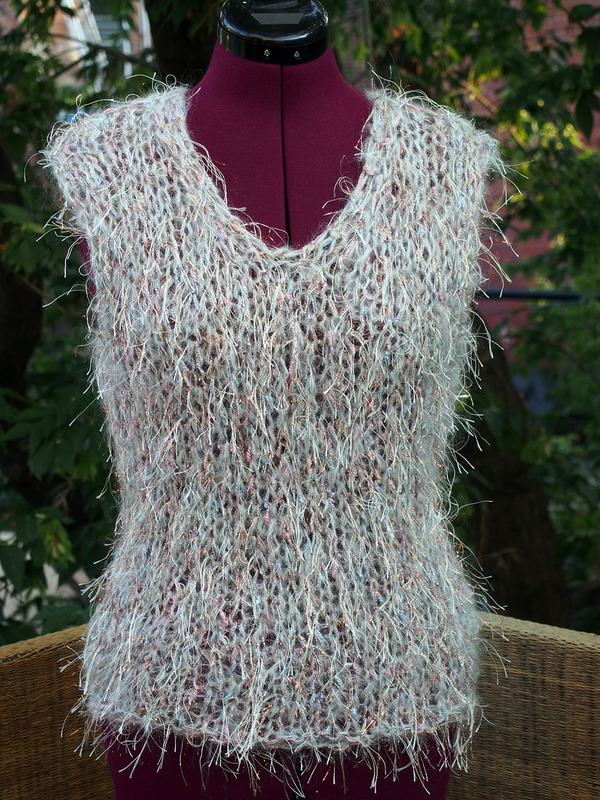 My years-old Ravelry picture of the Embellished V-Neck from Vogue Knitting looks pretty good. That's just a ruse. There are actually quite a few things wrong here, but the major problem is that the upper arms are way too large (as has been noted on almost every Rav project for the pattern). I feel like a football player when I wear this, and so it never gets worn. I'm in the process of ripping out the sleeves and using my pick-up short-row top-down sleeve formula I've been using a lot lately. This should be a fun post about Making Things Fit, which was always what I wanted my blog to be about. 6.) I thought that the new Rowan Silkystones was shiny, but wow, seeing it on top of all these other things, it is positively glowing! 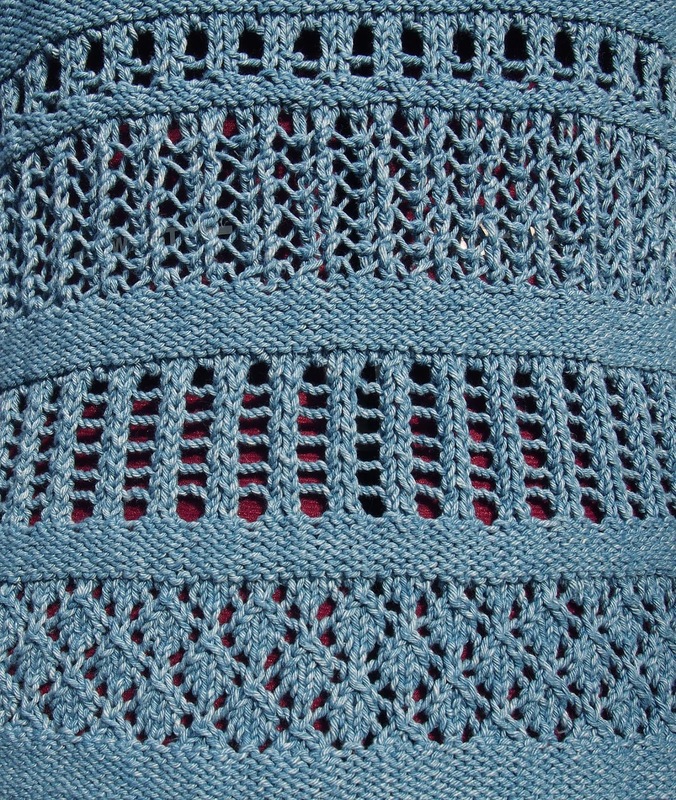 I had this yarn as a free sample for a long while, but only recently got enough to make a complete garment. If you are an Addi Turbo fan, GO SOMEWHERE NOW AND BUY A BALL. The yarn is a unique 50% silk, 50% linen mix, and I don't know what it is, but the feel of this yarn sliding across Addis is positively delicious. The yarn is a bit hippie, in the sense that there are slubs and particles and all sorts of unexpected changes here and there... but still, I am loving every oily? slippery? slide-y? stitch. I'm making a Bergere de France pattern from the 2013/2014 catalog (in French, too). It's has really modern details (broken ribbing, drop sleeve), so I might hate it in a few years, but I'm loving it now so who cares? 7.) Yes, finally!!! I had to save the best for last! 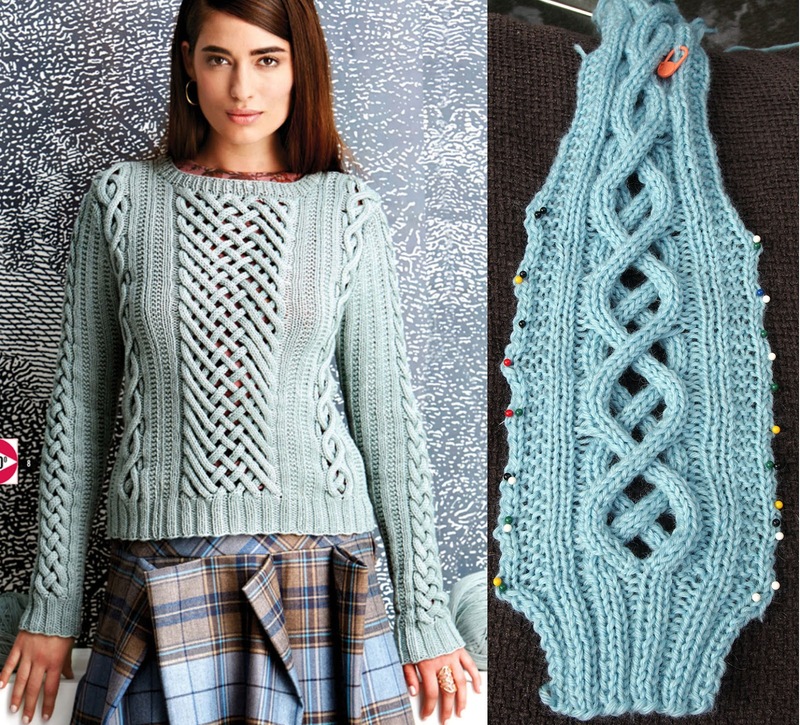 You know I love very complicated knits, and so it isn't surprising that I fell for the crazy "cabled" Fretwork Pullover from the new Fall 2014 Vogue Knitting. It turns out it's not cabled at all; you actually weave 4-stitch cords in and out for a cabled effect. It's soooooo much fun, but I would only recommend it for the adventurous knitter. It's not hard, per se, but the instructions peter out at the end of each panel, expecting you to figure out the logic on your own. Me? I love that kind of stuff. I'm using a Bergere de France yarn stockpile I have from our local warehouse sale in the Montreal Area. I'm going to miss it when I move... I'm still hoping to make a Big Firm Announcement soon on that, can't wait to finally pop some champagne! The novelty yarn could only improve with the addition of little chickies. Am I right? Germander Shrug? I don't know how you can knit so many things at once....amazing! Elves, ya know. Good guess, that was on the short list! A clue: it uses two colors. I second the "amazing" comment - that's a lot of beautiful WIPs! It IS mentally tiring! I get into these guilt 'loops' where I feel overwhelmed... I never work on just one project because I feel the other ones are languishing. You really are an amazing knitting machine. Ha! I met a guy on the bus yesterday, and regarding my knitting, he said that he admired anything that didn't come from a machine. Makes me think twice now, lol! Where is this warehouse and what brands do they carry?? South Shore. It's a Bergere de France distributor, but they have some Opal yarns. The sale is in March/April every year... I'm not sure if you can visit other times. Best to call! 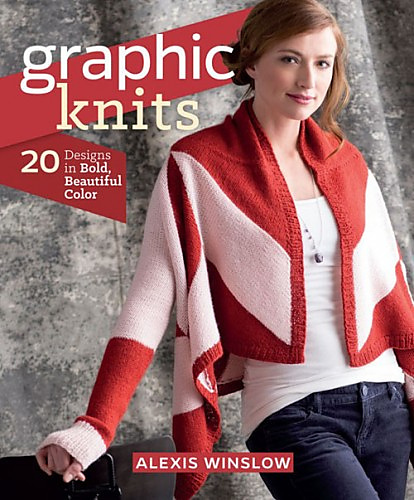 That Graphic Knits book looks very interesting. I'm guessing you are making Burren, mainly because I like that one the best :) If not Burren, then I guess Sweetness. I'm interested in hearing about your pick-up short-row top-down sleeve method. I personally have a gripe about that method because I think it will never result in as good a fit as a standard sewn set-in sleeve and I've been wanting to write a blog post ranting about why too many patterns call for this method, but I'm too lazy to write it! Bernadette got it below, it's Laszlo! A bit too easy for me, but it's been good for movie/show watching. As for the pick-up sleeves, I have my formula in the post here: http://www.dayanaknits.com/2013/08/sometimes-you-should-settle-for.html. I would say the top of the sleeve might be a tad pointier than a set in sleeve, a little slim -- but that may simply require more stitches on top before starting the short rows. I've done 4 tops this way now and they fit my shoulder and upper arm extremely well. BUT I have very slim arms and shoulders. I'm guessing Lazslo cardigan - it kind of looks like something you would wear, though it don't know why I say that as your choices are always surprising me. You GOT it, you're good! hee hee. I like the big collar and the sleeves. But it is a bit simpler than the things I normally choose. Oh my - can't wait to see how Fretwork turns out. Your pile of WIPs makes me feel much better about mine. Yikes, four cardigans in various stages of construction and three blankets. 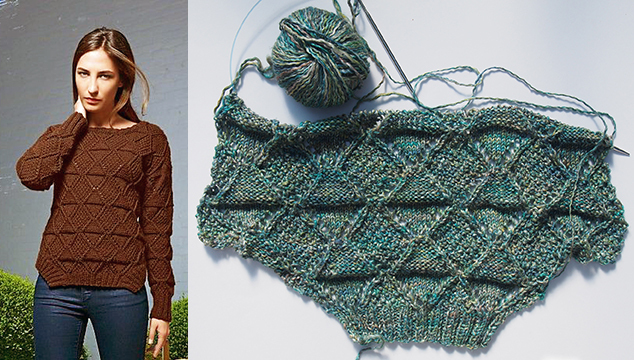 And I'm dying to cast on a big cabled sweater. The blanket WIPS are what kill you. 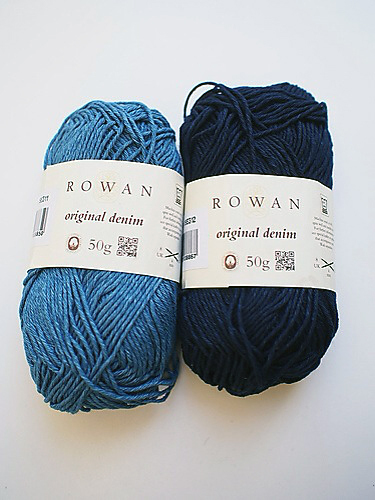 Heeeeeeyyyyy, did you see the next Rowan Afghan MKAL starts Oct 1?? :p Good news if you are interested: there are cushion options instead.